Nothing can create a feeling of warmth and comfort in a room or is softer and quieter then carpet. We at J R Flooring can help you find exactly what you need to make your home feel as welcoming as possible. 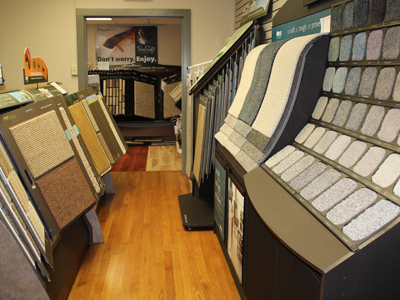 When visiting our store in East Stroudsburg, PA you will be able to choose from our wide selection of colors, patterns and textures from some of the finest carpet manufacturers. We encourage you to take home samples to decide what is right for you. You will find that the carpets we sell are all about the style, durability, and comfort you need. The process of deciding which type of carpet works best for you is easy when you see all the available options and we will be there to answer any questions you may have. If you would like to look at some samples now please visit our affiliated brands sites listed below. When you want to increase the value of your home life with luxurious, resilient and beautiful carpeting - do it with the reliable and responsive professionals at J R Flooring.